Price Includes :- Flights, Accommodation, Transfer. 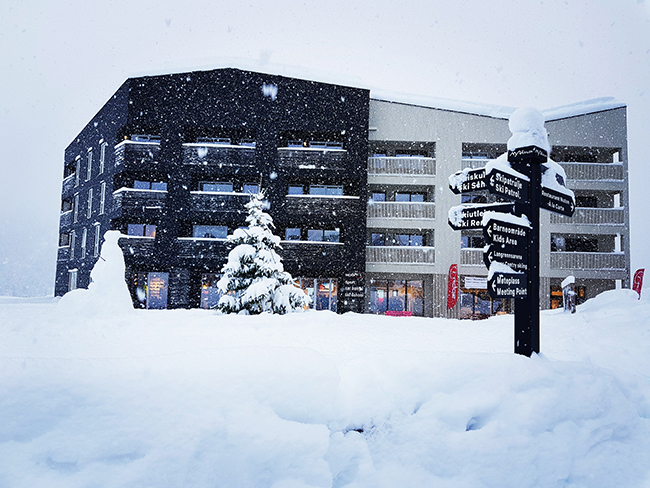 The Myrkdalen Apartments are situated in the heart of the Myrkdalen Resort close to an abundance of shops, great bars and restaurants, serving both international and traditional Norwegian fayre. Sunday 22nd December 2019, 7 nights, Self Catered. Price Includes :- Flights, Accommodation, Transfer. This stylish collection of apartments, the Torggarden Apartments, are located next to their sister hotel, the Myrkdalen Hotel. The2019/2020 ski package deals featured on J2Ski include cheap ski holidays to Myrkdalen as well as luxury chalet holidays and family ski vacations. The price quoted usually includes flight and ski accommodation in resort, though many can be booked with alternative travel to Myrkdalen. Ski and Snowboard Holidays to popular Ski Areas in Norway. Piste and Lift Stats for Myrkdalen, Norway. For current snow conditions, see our Myrkdalen Snow Report.